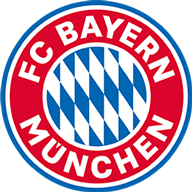 Bayern Munich moved back to the top of the Bundesliga after Kingsley Coman's first-half brace spearheaded a comfortable 4-1 victory at Fortuna Dusseldorf. Borussia Dortmund went to the summit on Saturday after edging out Mainz but the Bavarians were able to reclaim their position, with Coman setting them on their way after a quarter of an hour. He doubled his and Bayern's tally just before half-time while Serge Gnabry gave the visitors a 3-0 lead in the 55th minute. Dodi Lukebakio, introduced off the bench midway through the second half, pulled one back for Dusseldorf in the penultimate minute but Leon Goretzka restored Bayern's three-goal cushion in time added-on. 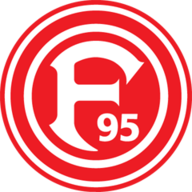 Eintracht Frankfurt missed the opportunity to consolidate fourth spot after a surprise 3-1 defeat to lowly Augsburg, who moved seven points clear of the drop zone. Goncalo Paciencia put Frankfurt ahead in the 14th minute but Marco Richter struck just after the half-hour and on the stroke of half-time. Frankfurt's hopes of getting back into the match were dealt a blow by Gelson Fernandes' dismissal just after the restart while Michael Gregoritsch made sure of the win for Augsburg six minutes from time. Nadiem Amiri's 29th-minute effort and substitute Reiss Nelson's goal with a quarter of an hour remaining ushered Hoffenheim to a 2-0 triumph over Hertha Berlin.